Last week Frank Castella Sr. sent me a powerful video about the benefits of bike riding for those with Parkinson’s. Today Dave, Danny & I went to the Pleasant Valley Bicycle Shop, and I got this new bike! I was so impressed that Randy and Butch at the bike store had seen the video, and helped me choose the right bike. I am so excited & encouraged. message to Kat 2018 Jan 25 at 9:15am: Thinking to make a few more pages on my blog; 21 March 2016 project of exercise with bicycle (using photo and FaceBook update), 11 Nov 2016 wish come true with Fresian horse (using photo & FB update) & today’s comments for current update. Is that okay ? message from Kat: Yes, they were beautiful moments in my life, so thank you. 11:14am: Thank you for letting me share your beautiful moments with others. Will give them context for moments of their own. * Admin issues: SHARE dementia awareness thru buttons below. Feel free to leave your thoughts in the form of comments, but please filter your comments with truthful loving kindness to all concerned. 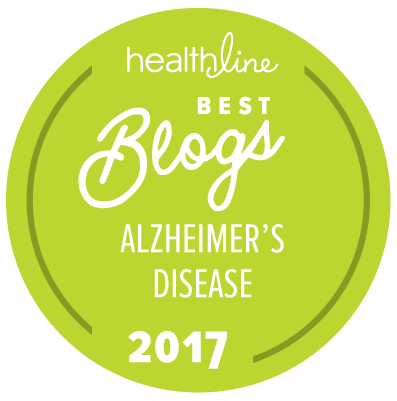 If interested in receiving notice of future blog postings, subscriptions are available through a “follow” button in the upper left corner (MS Explorer) or lower right (Safari, Mozilla Firefox and Chrome). If there is an advertisement below, I have no control over what is shown. Text Copyright © Kathleen Anduze 2016-03/21. 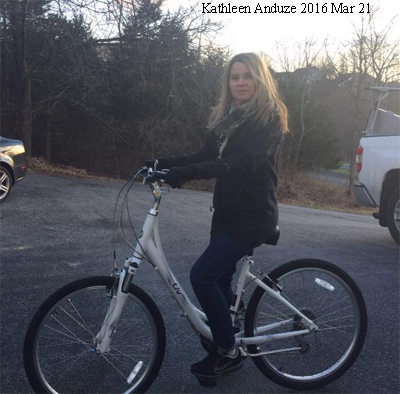 Tags: bicycle, dementia, exercise, LBD, lewy body, Kathleen Anduze.